A DuraBreeze® Duct Muffler reduces the sound traveling through ducting without restricting airflow. 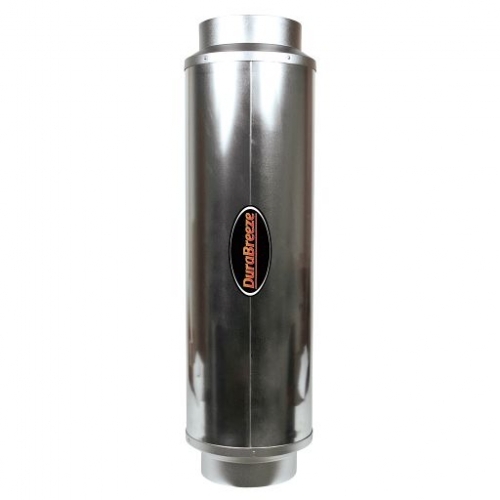 The 8-inch muffler features a durable, lightweight, rustproof aluminum housing and 1-inch-thick internal glass fiber with a noise reduction coefficient of 85 percent. Measures 30 inches long with a 10-inch diameter and an 8-inch flange.